Colin Mochrie, the famed comedian and actor from Canada, hosts this five-episode special. Based on the US primetime game show hit, ordinary Canadians try their luck at a series of questions targeted at the fifth-grade level. Two more contestants face off against the Canadian 5th Graders. Friday, March 20 – 8pm ET/PT on E! Colin Mochrie, the famed comedian and actor from Canada, hosts this five-episode special. 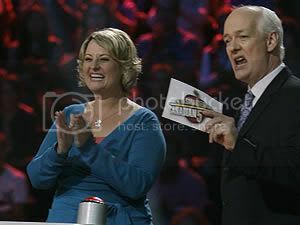 Based on the US primetime game show hit, ordinary Canadians try their luck at a series of questions targeted at the fifth-grade level. In the first episode, contestants include Ian, a lawyer from Ottawa, and April, a marketing coordinator from Sudbury. 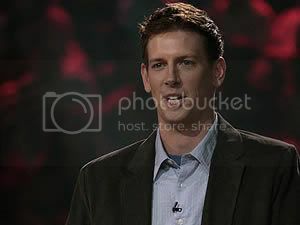 (TORONTO – November 23, 2007) – School’s out and Global Television’s Are You Smarter Than a Canadian 5th Grader? finishes at the head of the class… the special 5-part series tops the list as the country’s number one homegrown series amongst viewers 18-49, on TV’s most competitive night. 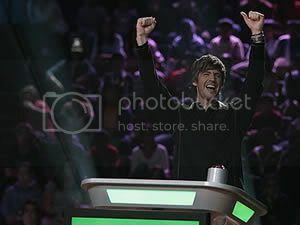 26-year old veterinarian, Andrew Oster knew the answer, and he now leaves his mark in the record books as the highest paid primetime game show contestant in Canadian history – with a cash prize totaling $300,000. 1.5 million viewers tune in for the premiere! With 1.5 million total viewers, and 778,000 viewers 18-49, “Are You Smarter Than a Canadian 5th Grader” roared in, rated as the most-watched premiere of any new Canadian show on any network this season. The much-loved quizzer topped the recent premiere of Corner Gas by 69% among viewers 18-49 and by 21% for total viewers…and that of Little Mosque by 124% and 88% respectively. At age 36, Peter is the youngest brother in a family of 6 boys that grew up in small town Nova Scotia. He is an air traffic controller which is his 3rd major career choice and he plans to stick with it. He has been married to his wife Kelly for 12 years and has a 15-month-old son, Jack. Friends and family describe Peter as a bit silly but loveable. If he won some money on the show he would love to allow his wife to stay home with their son. Sandra is a 29-year-old single woman who is a professor at Wilfrid Laurier University. She is a very confident and sassy person with a great sense of humour. She is a first generation Canadian, her father is from Transylvania and her mother is from Hungary. She talks of her parents inspiring her to go after what she wants in life. Sandra is very proud of her accomplishments. She has 3 degrees, a BA from York University, a Corporate Communications Post Grad degree and a Masters degree in Communication and Culture. Sandra is currently working towards a Doctorate Degree in Sociology at the University of Toronto. Michelle is a 33-year-old nuclear engineer and the mother of two young boys. Born in Sackville, New Brunswick, Michelle has lived in Winnipeg, Kingston, and now resides in Pembroke, Ontario. She holds two degrees from the Royal Military College of Canada and is described by her husband as the smartest person he has ever met. Growing up, she always wanted to be an astronaut but decided to settle on being a nuclear engineer so she could have time for a family. If she wins money on the show she would like to take her family on a vacation to New Zealand and donate a portion to the cancer community who has been so supportive in her husband’s fight against cancer. Mark is a 30-year-old Environmental Engineer who lives in Toronto. He got his Bachelors degree in Engineering from McMaster University. He says that he loves to solve problems and that protecting the environment is very important to him. His job involves helping businesses “go green” with energy conservation. Mark loves adventure and travel. He has a music studio in his house where he plays the keyboard, drums and guitar. Mark’s friends describe him as one of the smartest people they know as well as a charming and handsome man. Mark would donate some of his prize money to charities in developing countries and then buy a house. Ian is 30 years old, single and originally from Lindsay, Ontario. He now lives in Ottawa, where he practices law. He describes himself as up-and-coming in his field. Ian has been practicing law for 1-year. He jokes that he has been in school for 24 years; he has 3 degrees – an Honours Biology Degree, Masters in Philosophy and a Law Degree. He says that when he was a child he wanted to be the Prime Minister, then a doctor, he finally realized being a lawyer was he wanted to do. His mother taught Grade 3 for 38 years. If he won money on the show he would love to take his entire family – mother, father and his 44 year old brother to Disney World.